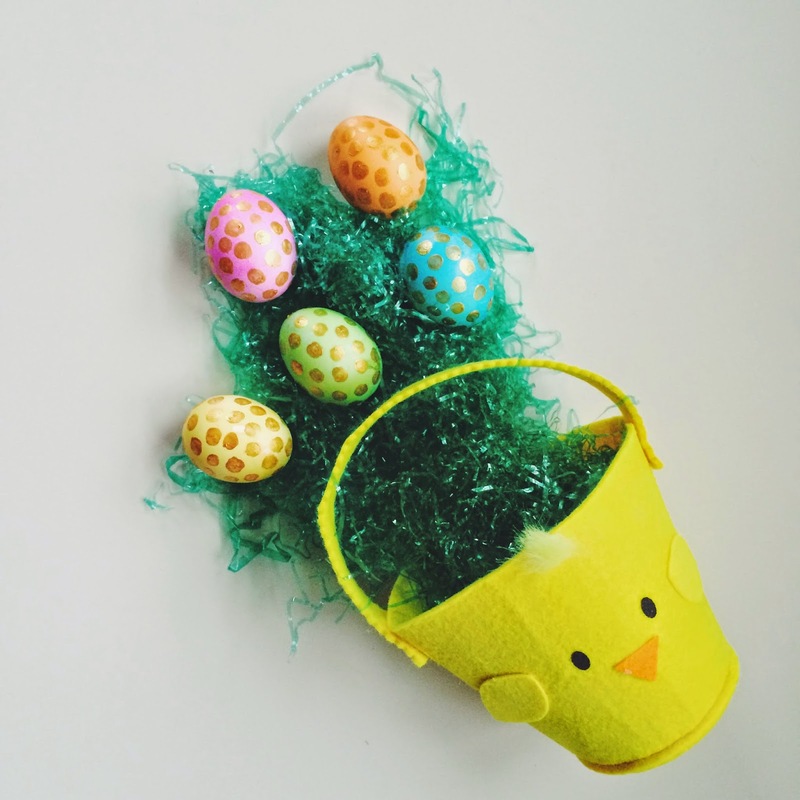 These adorable Easter eggs are super easy to create and make quite a statement for your Easter centerpiece. 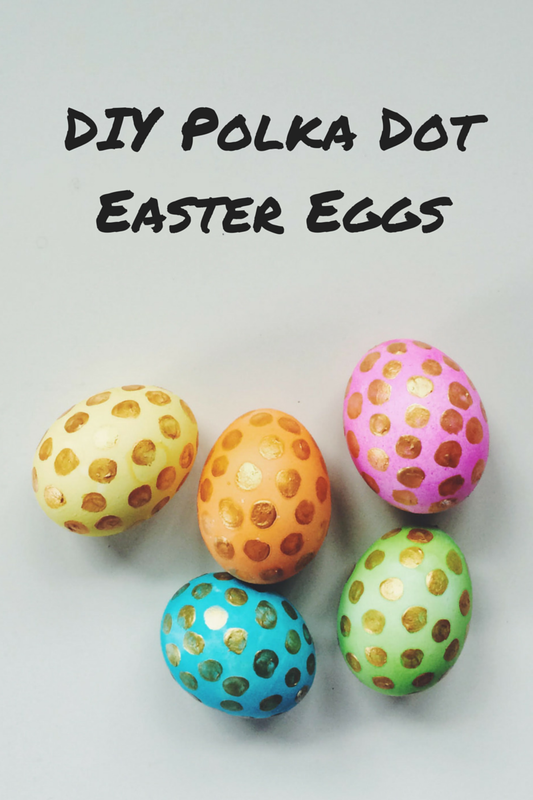 Create your own unique design or keep it simple and chic with polka dots for a fun little spring DIY. To make the colored dye mix 1/2 cup water, 1 teaspoon vinegar and 15 drops of desired food coloring. Drop the hard boiled egg into the dye and let sit for at least 5 minutes (more or less depending on how saturated you want the color). Remove egg with slotted spoon and let rest until dry. 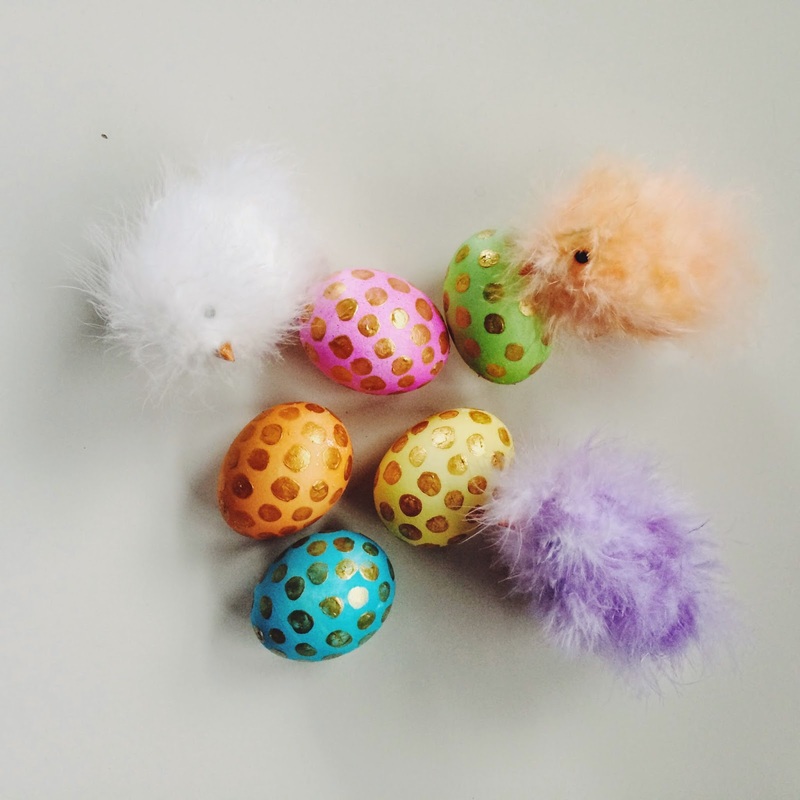 For the polka dots take a small brush dipped in gold acrylic paint and create a polka dot pattern on the egg. Allow to dry.